Shipping and Port management which plays a crucial role in international trade and commerce, falls in the department of logistics. As almost 90% of world's overall trade is done through sea route, these ports need to be managed well. When trade across countries flourished, movement of freight by means of ships was considered the most cost effective means of transport. This increased the need of professionals in this area to manage port activities. Port Management is a mishmash of transportation, materials and goods handling and storage, ship operations and safety and health management. Ports usually deal with a number of disparate activities like the movement, loading and unloading of ships, containers, and other cargo; customs activities as well as human resources. 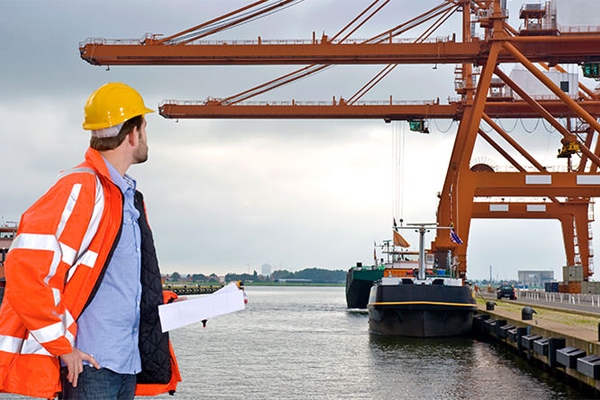 Port management is a necessary position required to keep ports organized, supervised, and functioning. Managing ports is a combination of material handling, road transport, storage, safe ship operations, health and safety. In other words, Port management include overseeing all commercial and technical components of the shipping industry. Duties in port management may also include cooperating with other ports, coordinating deliveries with ships, overseeing port development, advertising and promoting the port, and enforcing security and environmental protection initiatives. Course include areas such as shipping laws, sea transportation, maritime economics, marine insurance, international trade and commerce, managerial economics, port management and charting. It provides theoretical, technical and managerial skills to work professionally in the shipping and port management sector. Some of the organizations which need port managers include shipping companies, clearing and forwarding companies, agency houses, export and import firms and major ports worldwide. There are also jobs for them in the Railways and defense sector. The shipping and port managers also can work with International shipping majors and private port corporations. You can also find job with private packers and movers, transporters and organizations dealing with cargo handling. The pay package is also good in this field ,specially in the private sector. There are only few institutions in India offering management degrees in Port and Shipping Management.